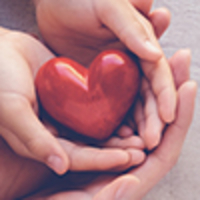 Provide comfort for the family of Robert Price with a meaningful gesture of sympathy. Robert R. Price, 83, of Winchester, died Sunday, February 10, 2019 at his home. Mr. Price was born September 8, 1935 in Leetown, WV; the son of the late George W. Price and Catherine Bartles Price. He was a 1953 graduate of Charles Town High School. He served in the US Army from 1956-1958. 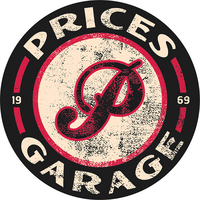 Along with his wife, he owned and operated Price’s Garage. He married Inga Louise Welch on September 1, 1956 in Middleway, WV. Along with his wife, he is survived by his children, Beverley Price Corrigan and her husband, Dennis of Winchester, and Mark Alan Price and his wife, Liesl of Irmo, SC; a brother, George W. Price and his wife, Pat of Winchester; two sisters, Catherine Holdren and her husband, Don of Johnson City, TN and Betty Price Brown of Winchester; five grandchildren, Christopher B. Price, Amanda D. Corrigan Rudolph, Tag Corrigan, Jillian Delaney Price, and Owen Reace Price; and four great grandchildren, Aiden Corrigan, Reace Rudolph, David Price, and Parker Price. He was preceded in death by two sons, David Bryan Price and Robert Keith Price. The family will receive friends on Tuesday evening from 6:00 p.m. to 8:00 p.m. at Jones Funeral Home in Winchester. A funeral service will be held on Wednesday, February 13, 2019 at 11:00 a.m. at Jones Funeral Home in Winchester with Rev. Ralph F. Buddenhagen officiating. Burial will be private in Green Hill Cemetery in Berryville, VA.
Memorial contributions may be made to Blue Ridge Hospice, 333 W. Cork Street, Winchester, VA 22601. To send flowers in memory of Robert Reace Price, please visit our Heartfelt Sympathies Store. SEGRA family and friends, Roger Schroppe, and others have sent flowers to the family of Robert Reace Price. It is with heavy hearts that we mourn not only Uncle Bobby's passing, but having to decide not to brave an impending snowstorm so that we could give Aunt Weesie, Bev and Mark our hugs and tears in person. One of the biggest hearts that ever existed, whether family or friend. Uncle Bobby and Aunt Weesie were there for me when I needed them, and have always made Eddie feel that he really did belong in our family. For that and more, we thank you. What a guy, what a lady. He leaves yet another void that can't be filled, but the memories will always live on in our minds. We love and miss you all. From the bottom, Wendi and Eddie Pacek. Our condolences to the Price family.